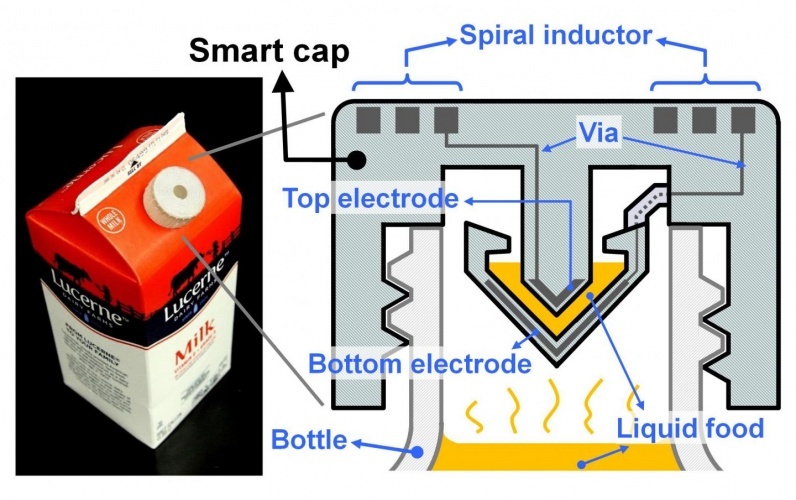 A team of engineers from the University of California, Berkeley and Taiwan’s National Chiao Tung University has used 3D printing to incorporate electronics into a wireless ‘smart cap’ that can sense when milk has gone sour. UC Berkeley engineers created a “smart cap” using 3-D-printed plastic with embedded electronics to wirelessly monitor the freshness of milk. The research, published this week in Microsystems & Nanoengineering, reveals how the team 3D printed resistors, inductors, capacitors and integrated wireless electrical sensing systems using a combination of polymers and wax. The wax is then removed, leaving hollow tubes into which liquid silver is injected and cured to create circuits. “Our paper describes the first demonstration of 3D printing for working basic electrical components, as well as a working wireless sensor,” said senior author Liwei Lin, a professor of mechanical engineering and co-director of the Berkeley Sensor and Actuator Centre. To demonstrate the technology, the engineers embedded 3D printed electrical components into the cap of a milk carton to monitor bacteria levels. The ‘smart cap’ was fitted with a capacitor and an inductor to form a resonant circuit. The unopened carton was then upended to allow some milk to get trapped in the cap’s capacitor gap, and left at room temperature for 36 hours. 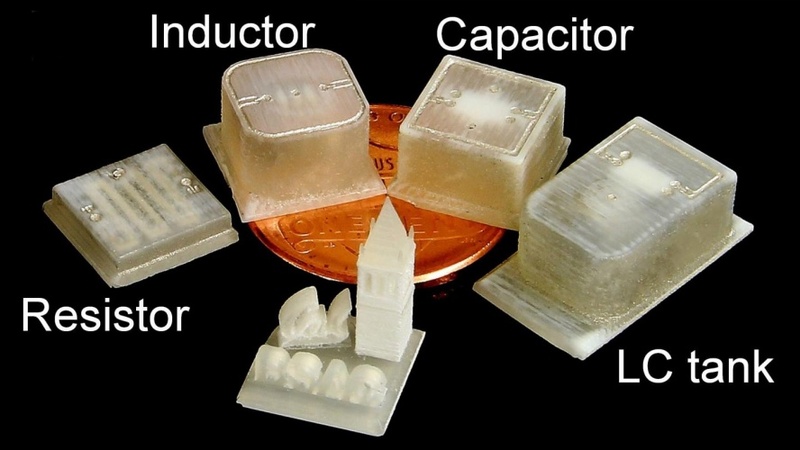 Engineers created a range of 3-D printed electrical components, including an electrical resistor, inductor, capacitor and an integrated inductor-capacitor system. According to the research, the circuit was capable of detecting changes in electrical signals that accompany increased levels of bacteria, and consequently spoilage. Using a wireless radio-frequency probe, the team took readings every 12 hours, finding the peak vibration frequency of the room-temperature milk dropped by 4.3 per cent over the 36-hour period. In comparison, a refrigerated carton experienced just a 0.12 per cent drop over the same timeframe. “This 3D printing technology could eventually make electronic circuits cheap enough to be added to packaging to provide food safety alerts for consumers,” said Lin. While that may yet be a number of years away, the team is currently working on developing the technology for a variety of health applications, such as implantable devices with embedded transducers that can monitor blood pressure, muscle strain and drug concentrations. I had occasion to point out some years ago to a guru of ‘cutting’ that as there was about 5 times by weight of food ‘cut’ every day, surely optimizing this was just as important as enhancng the cutting of metal: likewise, enhancing packaging and closures (look down any supermarket shelving…) is surely 20X more important than the next generation of polymers….